This app has been useful for so many of our kids as we are teaching toileting skills. It allows you to make the child look like your child, then walks through all the steps of going to the bathroom. We give it 5 stars! If your child is in early intervention with us, we’ve been reading The Very Hungry Caterpillar this month. Here’s a fun language extension to play at home. 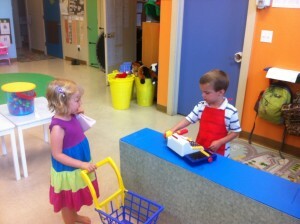 Using either a sock as a puppet or another item that you could pretend is a caterpillar, read the story. Have the caterpillar pretend to eat the foods on each page, “yum yum yum.” Don’t forget to get some good nibbles of your child’s belly while doing this. After the story, look around the house for things that the caterpillar might like to eat. Try some food, “yum yum yum.” And some non-foods, “Ewww yucky!” Have fun, include lots of tickles and nibbles. Here are some links to the The Very Hungry Caterpillar book and a fun caterpillar puppet if you are in need of supplies. Our second PM Early Intervention Group is off to a great start. Here is the parent newsletter for the New PM group for March. 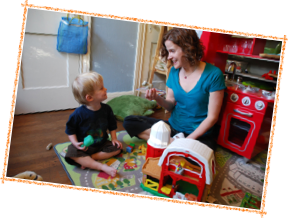 Building BLOCS is now enrolling for spring playgroup sessions 1 and 2. Our playgroups are designed for children that have high language skills, but struggle with interactions with other children. All lessons incorporate lessons and concepts from Michelle Garcia Winner’s “The Incredible Flexible You” curriculum. 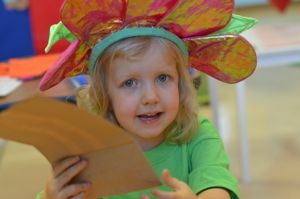 Additionally, each session has a theme that is based on well-loved literature that help provides a base for games, play and pretend activities throughout the session. Session 1: Eric Carle – Using several familiar books to talk about things we hear/see/feel. Session 2: Pete the Cat! Building BLOCS is now able to accept insurance for groups from some heath care plans. For more information email us at therapy@blocsaustin.com or call 512-827-7011. Brandy Windham- Speech Therapist and BCBA! 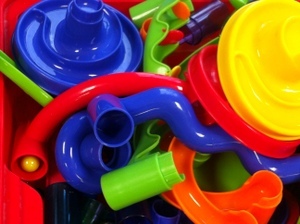 One helpful thing to do for your young child is to organize their playroom. I know this does not sound like an exciting way to spend your Saturday, but putting your child’s toys into clear bins with labels can help you teach or reinforce many important skills. 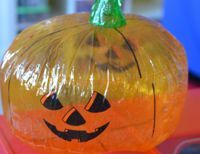 Halloween brings opportunities for some amazing language and pretend play activities. Pretending to go trick-or-treating with your child has the added benefit of making Halloween night a lot more predictable and fun for you and your child. Here are some simple ideas to help you get started and enjoy some quality play time with your child. 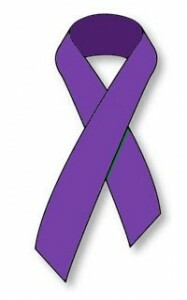 October is Rett Syndrome Awareness Month. At Building BLOCS, this topic is very close to our hearts. As we spend time researching therapy approaches that will be most successful for children with Rett syndrome, we learn again and again that the research in this field is still very limited. The International Rett Syndrome Foundation is helping lead the charge in this area. Here are some of their resources that can help you learn more about Rett syndrome and ways you can help. Hooray! It’s October. This is my absolute favorite month of the year to work with children. There are so many activities that go along with this theme. I have a calendar full of great ideas for fun home activities.